Fresh from their Cartoon Forum nomination for ‘Cartoon Producer of the Year’, Irish animation company Ink and Light are now gearing up for the Christmas premiere of their latest project. ‘Hopscotch and the Christmas Tree’ is a half hour animated special based on the children’s book of the same name. The book was first published in the UK last year by Tiny Tree and quickly became their fastest selling title. Both the book and TV special were created and written by author Katy Segrove and illustrated by the artist Katerina Vykhodtseva. ‘Hopscotch and the Christmas Tree’ tells the charming story of a happy little horse called Hopscotch and her animal friends as they set out to find the perfect Christmas tree. Aimed at pre-schoolers, the story is grounded in the Science of Happiness /positive psychology and aims to show children that when they stay positive sometimes they find the best solutions right under their noses. ‘Hopscotch and the Christmas Tree’ was commissioned by RTÉjr and additional support came from Screen Ireland and the Lithuanian Film Centre. The project is a Lithuanian – Irish co-production between Kino Mind Films and Ink and Light. Meta Media is handling distribution and has already closed a raft of broadcast sales including to Czech TV, YLE Finland, V-Me (US Hispanic), HRT Croatia, RTV Slovakia, ERR Estonia, Latvian TV, and LTV Lithuania. The film has also been picked up by French distributor KMBO Films for theatrical, video, TV and VOD rights in French speaking Europe. Meta Media will be taking the film to MIP Junior and MIPCOM. 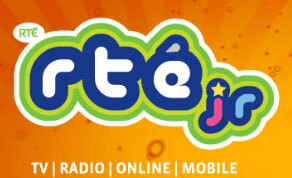 “RTÉjr has been a terrific partner as always on this lovely new Christmas special. We can’t wait to share it with Irish audiences this December” added Ink and Light’s Tamsin Lyons. Producers Kino Mind and Ink and Light are now also developing a follow-up television series ‘Happy Go Hopscotch’, featuring more “positive psychology” adventures for Hopscotch and her friends. It is slated for broadcast in late 2020/early 2021. “These little animated characters, Hopscotch and her friends, have so much to offer as they show us tools to build resourcefulness and happiness for ourselves and others. Most of all they remind us to keep smiling and laughing, thanks to their fun antics. This Christmas special is a wonderful addition to the Happy Go Hopscotch world” said Kino Mind producer Inesa Ivanova.